Be Exquisite in Leicester prides itself in using this effective tool to personalise your skin care. The first and most important step in any skin care treatment is the analysis of your skin, which helps your therapist to design a treatment that’s completely personalised to your unique needs, that can then become part of your beauty regime. Using a magnifying lamp and sense of touch, inch by inch your skin will be thoroughly scrutinised. While visual clues can help to identify existing problems, deeper congestion can be more finely determined by touching the skin. In turn, this new method of analysis provides a much more accurate diagnosis of your skin concerns and can actually help to detect them before they surface. You will leave your skin care treatment with a personalised ‘Face Map’ showing where problems were found and what products to use on those specific zones. This way you’re only applying products to the areas of your face that need them, making your regime more results orientated and cost effective. 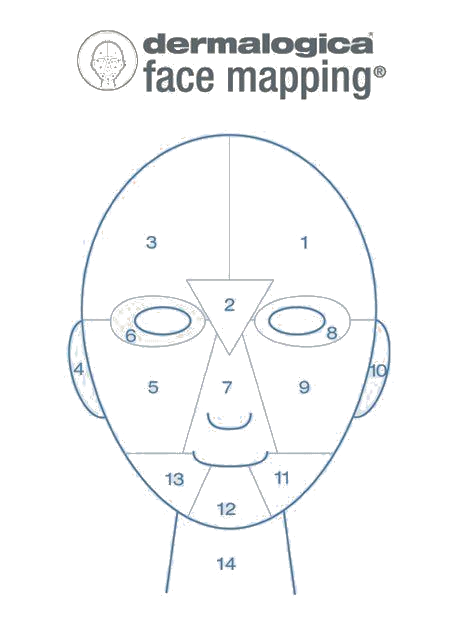 A copy of your ‘Face Map’ will be kept at the salon so together we can chart your progress. This comprehensive treatment will give you a clear indication of your skin type and which products to use. It includes cleansing, face mapping and guidance on how and in which areas to use the products. The cost of the ‘Skin Bar’ will be redeemed against your skin care product. Ask about these exclusive and popular treatments which enhance your beauty by targeting specific skin concerns, from blackhead relief, rapid spot clearance to eye rescue and lip renewal.